Packaged in a reusable plastic container, this assortment of products in larger sizes can be easily organized and stored. Inside are the products you need to keep your spa water clear and balanced. Proper use of these products, along with your favorite Leisure Time® sanitizer, will keep your spa water clean, clear and luxurious. 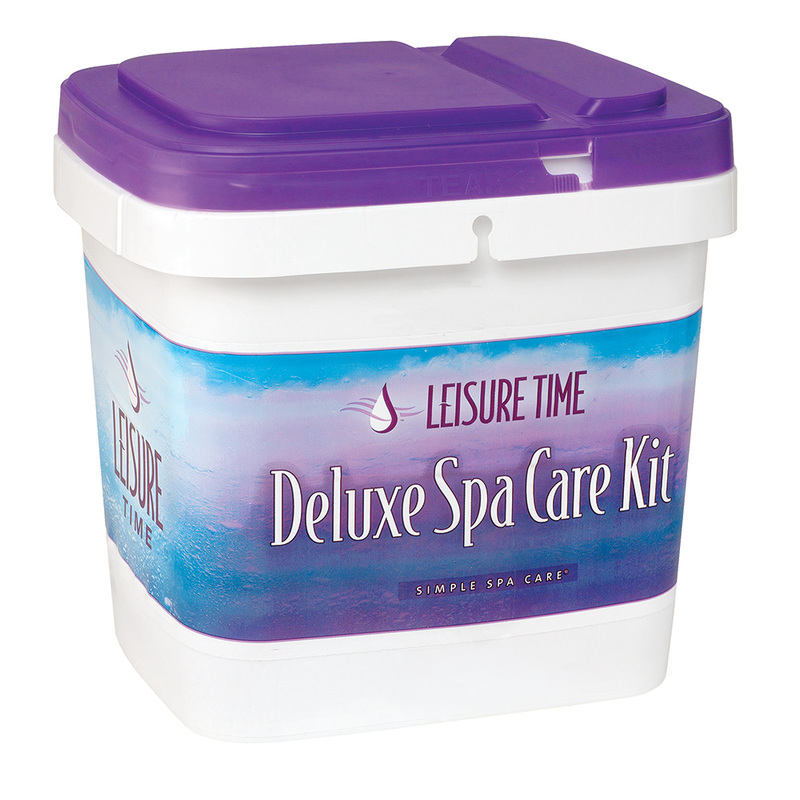 Leisure Time® Spa Up, 2 lbs. Leisure Time® Spa Down, 2.5 lbs. Leisure Time® Calcium Booster, 32 fl. oz. Leisure Time® Spa Defender, 32 fl. oz. Leisure Time® Foam Down, 16 fl. oz. Leisure Time® Enzyme, 16 fl. oz. Leisure Time® Filter Clean, 16 fl. oz. Leisure Time® Jet Clean, 16 fl. oz. Leisure Time® Cover Care & Conditioner, 16 fl. oz. Leisure Time® Fast Gloss, 16 fl. oz.